Home Android Guide Tutorials How to mute camera focus sound and shutter sound on Asus ZenFone 4, 5, 6? 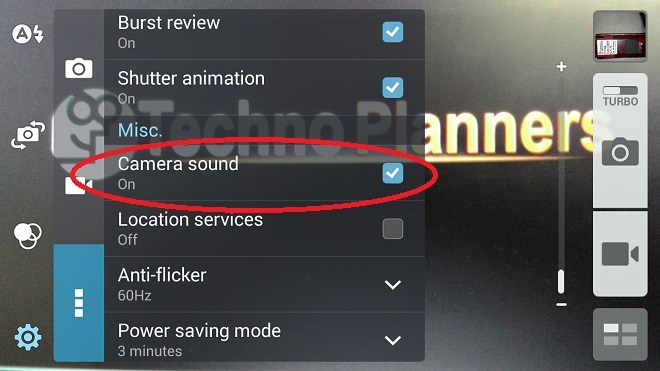 How to mute camera focus sound and shutter sound on Asus ZenFone 4, 5, 6? In Preview post we talk about how to install and connect Asus PC Link and Remote Link on Asus Zenfone 4, 5, and 6. Now we share how to turn off/ mute camera focus and shutter sound on your Asus zenfone. I have received lot of ASUS Zenfone users ask me that how to disable and close Asus Camera sound. you can disable the camera sound by simply minimize or close the Asus sound volume before open or enter Camera Mode. Camera shutter Sound can be disable using this method. but we share second method to disable it permanently using Camera App settings. Steps to disable Camera focus Sound and Shutter Sound? 3. then disable "Camera sound"